The redevelopment of the new World Trade Center reached a significant milestone last Friday, as construction workers added the final vertical piece to the puzzle. A 408-foot spire was placed atop One World Trade Center, which has 104 stories and now stands at an imposing 1,776 feet above street level. A collective effort to rebuild the World Trade Center began in 2003. New York and New Jersey Port Authorities, as well as a vast array of architects, designers, and private developers worked tirelessly to restore what was lost in the September 11 attacks. As one of America’s most prominent construction projects, One World Trade Center cost $3.9 billion to build. The office tower was valued in 2010 at only $2 billion, a number that is expected to rise should rents increase over time. Only 55% of the building has been leased thus far, with the federal government, Publisher Condé Nast, and Chinese real estate firm Beijing Vantone as a few of the signed tenants. The tower is not expected to open to either tenants or the general public until 2014 or 2015. 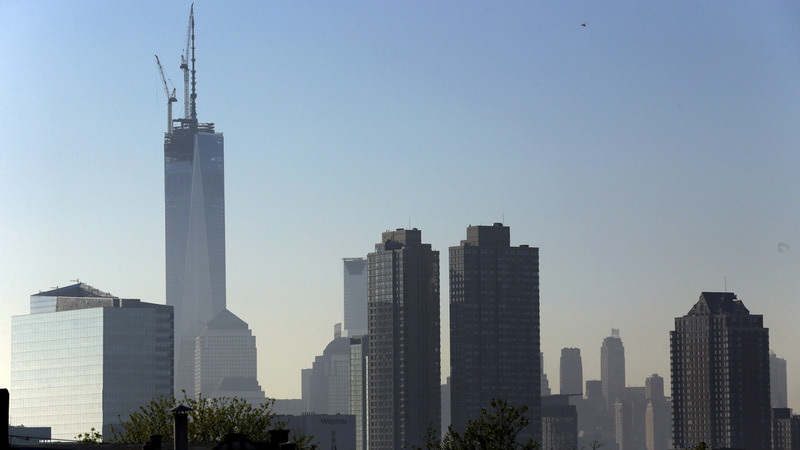 At 1,776 feet, One World Trade Center is now the tallest building in the Western Hemisphere. However, its standing among the world’s tallest buildings is uncertain. The recently added spire could be classified as an antenna, meaning that the tower can only be measured up to its roof, a height of 1,361 feet.